To me this is the perfect outfit for a holiday party. Thick, warm turtleneck sweater to keep you warm on a freezing December night, and a flippy little skirt to keep it fun. The red tights just give the neutral outfit that necessary little pop of color. Also, don't you think this sweater has the best textures? I love how there are so many different patterns knitted into it! 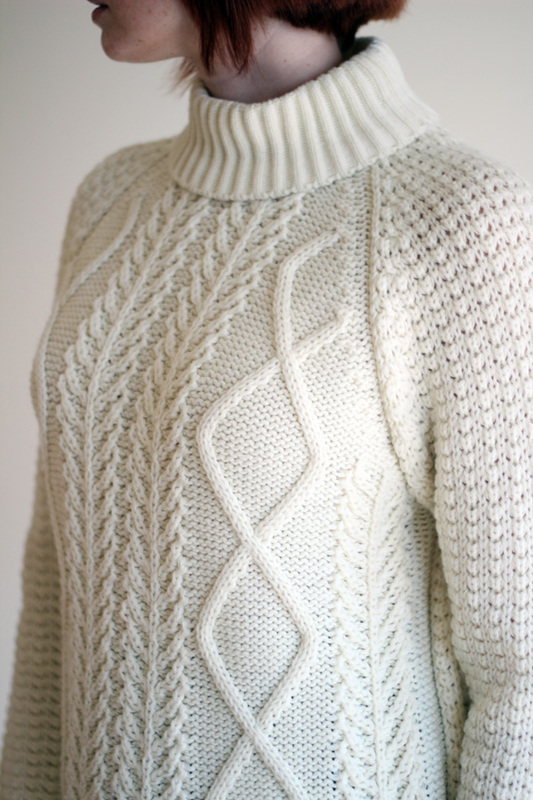 It helps to keep something as basic as a cream sweater interesting. I'm linking up with Real Girl Glam, The Pleated Poppy, and Rolled Up Pretty.